I love love love this book! Although the main character’s father left her, she realizes that she doesn’t need him to be happy. Felicity realizes that the family that she does have is special and they love her with their whole beings. The message is strong and the writing is beautiful! The writing is so strong, that I feel like the best way to share this book is to quote some of Natalie Lloyd’s passages. Although Felicity collects words and can put them together into poems, she gets tongue tied in front of people. Her new friend has convinced her to participate in a duel reading her poetry, but she is doubtful of her own abilities. 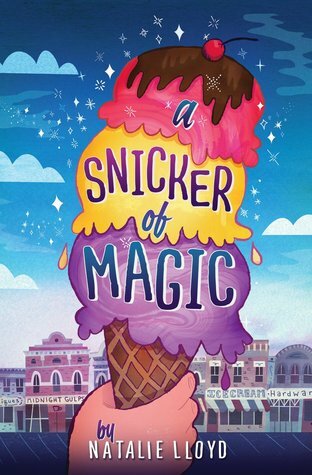 I think this book would be perfect for fourth, fifth, sixth grade girls who love the idea of magic. Although the characters and message are realistic, there is an element of magic on every page. When the first day of the two day workshop ended, I was unsure of how to explain “cognitive coaching.” After day two of cognitive coaching, I now feel a tiny bit more prepared to to explain and use these strategies in my life. Cognitive coaching is to assist a person to go from where he/she is, to where he/she wants to be by becoming more self-directed. There were two main strategies that our wonderful presenter taught on the second day: pausing and paraphrasing. These two strategies can be applied when having a coaching conversation with another adult, or even a child. She said that by using these two things, we would see a huge difference. Pausing basically means giving “wait time” even in a one on one conversation. And then paraphrasing, like you did when writing research papers, after a person is done talking. This is really hard to do in conversations and it doesn’t quite seem natural just yet. However, we were give many sentence stems to use and those helped a lot. So, I will be making myself anchor charts to help me in my coaching this coming year. This was only two days out of maybe eight? I hope to take days 3 and 4 next summer. Great experience! Yes, I watch the Bachelor and Bachelorette. Actually, my fiance and I watch it together. Somehow he always picks the winner. Hmmm. Does he have some inside information? I love my little positive problem solver! Contrary to popular belief, teachers don’t spend their summers doing absolutely nothing. Today I spent the day in a professional development for cognitive coaching. What is cognitive coaching you ask? Well, it is “coaching” people to be self-directed. People ebing other teachers, students, parents, and even spouses. Hard to explain exactly just yet, still have one more day tomorrow. As a way to reflect on my learning today, I’d like to share three things I learned today and how it will apply to my teaching and learning. These are five states of mind that Cognitive Coaching says exist. The strongest, most self-directed people will have a balance of all of these qualities and as a coach it is our job to develop all of these in our coachees. (not a word?) Sound at all familiar? As soon as she started talking about it, I totally thought of Divergent. So I keep thinking: My goal is to make everyone Divergent. Application: I really have no idea how to encourage these states of mind in other people yet, but hopefully I will have an idea after tomorrow. I hope to be a mentor this year to a new teacher and will be able to encourage “divergence” in my mentee. Application: Although this seems like common sense, I think this is a social skill that our third graders need taught and modeled. I think that these four steps will help our students build and repair trust with their peers. This will become part of our first six weeks of school. Ever wonder why people get so involved in sports and start yelling at the TV? I definitely have! Turns out it is because of mirror neurons, also known as “monkey see, monkey do neurons.” Basically these neurons in our brain make watching someone do something the same as us doing it ourselves. These neurons tie our actions to feelings, therefore resulting in empathy. (Please forgive me if you know about this and my explanation isn’t completely clear.) So, this leads a teacher to wonder if these have to do with why kids with autism have trouble with empathy. According to the video we watched, it may be because people with Autism have broken mirror neurons? This is interesting and I will be doing more research regarding this topic. Application: Culture is a result of imitation. Our classroom culture will be a result of not just what we teach, but also what the students see. Therefore, it is another reason that I must be aware of my actions because I am always being watched by young, growing eyes. I know that many parents and teachers question the amount of Wimpy Kid, Big Nate, and similar books that children read. However, I think that these books are strong texts that reluctant readers love and adults should love too! 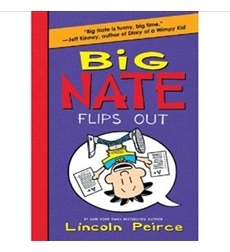 After finding Big Nate, my son has read three in the last few months and suggested that I read one of them as well. So, here are some examples from the book that prove it is not only engaging for kids, but should not be feared by adults. Kid: Hahaha! Poop! In a punch bowl! He must have gotten in so much trouble! Kid: That’s like my best friend and I, but at least my locker isn’t THAT messy! Adult: Strong messages of friendship and acceptance. Side Note: My son learned about Achilles and the meaning of an Achilles heel because of another Big Nate book that he read. The moral of this post: Don’t judge a book by it’s cover. Even if a book isn’t a great work of literature, it still has value. And after finding so much enjoyment in a book, your child may be more inclined to pick up more books. The first book checked off my “Someday List” this summer was Wonder. 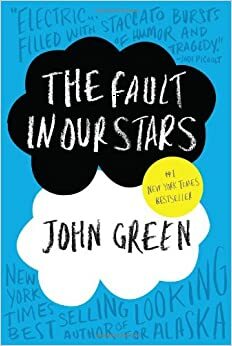 Then, in preparation to see the movie, I read The Fault in Our Stars by John Green. I knew it would be a tear jerker and it didn’t disappoint. We’ll see how the movie compares later today. 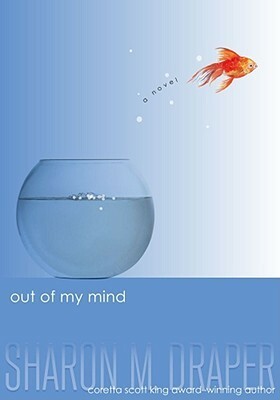 Out of my Mind was next on the list, as a recommendation from a fellow teacher. The main character is a nonverbal girl who can’t voice any of the thoughts running through her head until she finally get the technology to do so. Although the main character, Melody, is a strong girl who overcomes the challenges life throws at her, it hurts to read how cruel people can be toward others. 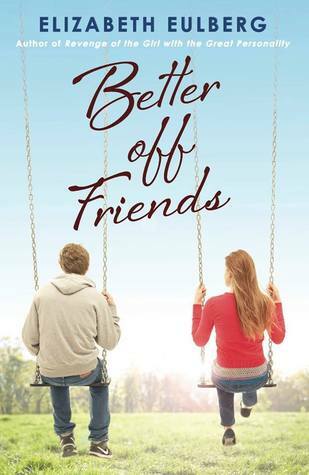 Better Off Friends was a very YA novel, but a welcome change from the emotionally draining books I read so far this summer. A girl and a boy become best friends and then have to deal with their feelings changing toward each other. The book was a mindless, fun read. I loved the structure that the author used. Each chapter went back and forth from her point of view and his point of view, the font changing for each. Then, in between each chapter is a short conversation between the two as if they are talking to each other while telling the story. Next on the list..A Snicker of Magic and Big Nate. Posted on June 19, 2014 June 21, 2014 Categories Life of a Book HoarderTags book review, someday listLeave a comment on Let the reading continue!